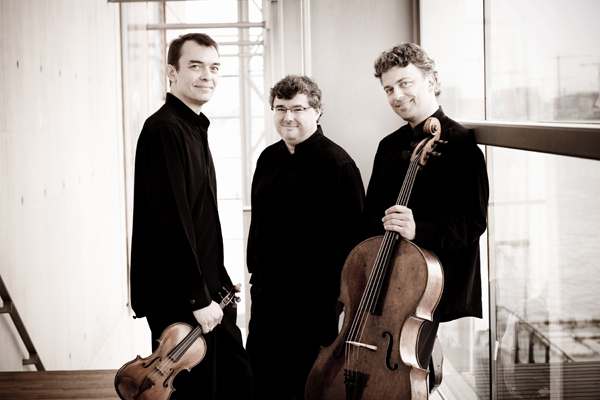 Winning first prize for chamber music at the Conservatoire National Supérieur de Musique de Paris, the Trio Wanderer studied from 1987 to 1991 with such masters as Jean-Claude Pennetier, Jean Hubeau, Janos Starker, Menahem Pressler from the Beaux Arts Trio, and the Amadeus Quartet. 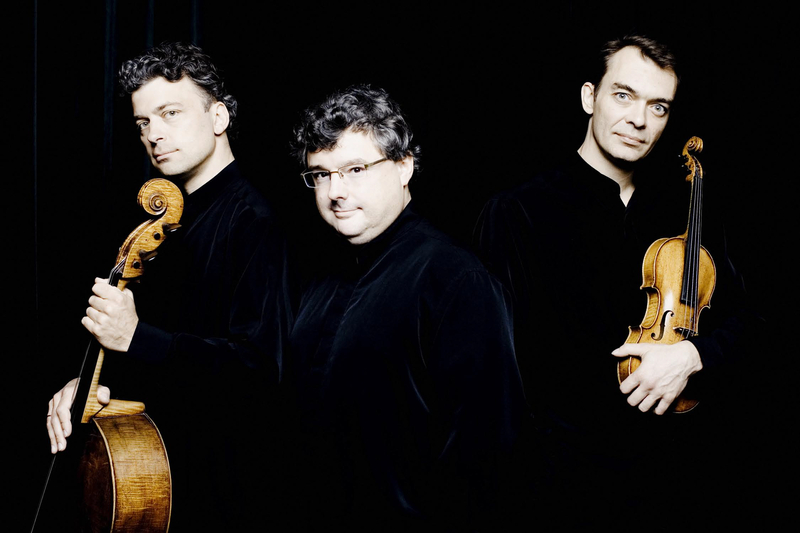 In 1988, they won the ARD Competition in Munich and, in 1990, the Fischoff Chamber Music Competition in the USA. 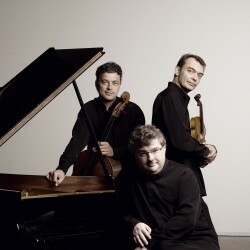 Called a “Wandering Star” by the Strad Magazine, the Trio has performed on the most prestigious music stages: Berlin’s Philharmonic, Paris’ Théâtre des Champs Elysées, London’s Wigmore Hall, Milan’s Teatro alla Scala, Barcelona’s Palau de la Musica, Washington’s Library of Congress, Rio de Janeiro’s Teatro Municipal, Tokyo’s Kioi Hall, Zürich’s Tonhalle and Amsterdam’s Concertgebouw. They have also performed at major festivals such as Edinburgh, Montreux, Feldkirch, Schleswig Holstein, Rheingau Musiksommmer, Colmar, La Roque d’Anthéron, the Folles Journées de Nantes, Granada, Stresa, and Osaka. Their debut at the Salburg Festival in August 2002 was praised as “a triumphant success” by the critics and led to their return for the 2004 and 2006 Festivals. 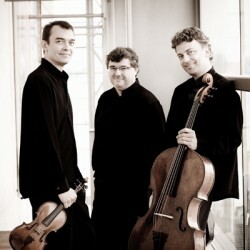 Trio Wanderer’s 2010-2011 engagements include performances at Paris Théâtre des champs-Elysées, London’s Wigmore Hall, Jeju Music Festival in Korea, in Leipzig’s Gewandhaus and Rheingau Musiksommer in Germany, Schubertiades Gmbh in Austria, as well as concerts in Netherlands, Denmark, Italy, Switzerland, Taïwan, Japan…Next spring, Trio Wanderer is invited to play in Moscow the Beethoven Triple Concerto with the Russian National Orchestra conducted by Ken David Masur. In 2009, a recording of Beethoven-Haydn-Pleyel folksongs with the austrian baryton Wolfgang Holzmair has been released for Cyprès record. The same year, they have published for Accord-universal a recording of Bartok, Martinu, Debussy and Escaich works with the clarinetist Paul Meyer, the flutist Emmanuel Pahud and thre oboist player François Leleux, followed in 2010 by a CD of Fauré Piano Quartets with the viola player Antoine Tamestit for Harmonia Mundi. Next January, Trio wanderer’s new recording will be released by Harmonia Mundi; it will be dedicated to Smetana piano Trio and Liszt’s chamber music. Besides numerous radio and television recordings (Radio France, BBC, ARD, Mezzo), the French-German television company ARTE made a film on the Trio Wanderer, broadcast in June 2003. They just recorded last July for the National french broadcast France2 three TV programmes dedicated to Mendelssohn, Messiaen and Schubert. 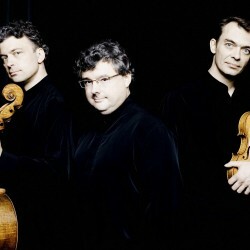 Heralded by the professional music world, the Trio Wanderer has been awarded for the third time in February 2009 (previously in 1997 and 2000) a Victoire de la Musique for Best Instrumental Ensemble of the year. Jean-Marc Phillips-Varjabédian plays on a violin of Petrus GUARNERIUS (Venezia 1748). Raphaël Pidoux plays on a violoncello of Goffredo CAPPA (Saluzzo 1680). (…) The best to be had today when it comes to trios. Throughout the years, Wanderer trio have been able to shine thanks to their homogeneous, original sound, “physical” style and free interpretation of their repertoire. (…) The turbulent Piano Trio No. 1 in D minor has long ranked among Mendelssohn’s most popular chamberworks; accordingly, there is no shortage of recorded performances, including several by ad hoc supergroups. Few manage as exquisite a balance among instruments as that achieved by the Trio Wanderer on its 2007 CD, which also includes a compelling account of the Piano Trio No. 2 in C minor. Trio Wanderer’s playing in the Second’s demonic Scherzo will have you on the edge of your seat. (…) With each piece the “Trio Wanderer” found its own language and its own clear style. Their playing discipline is fascinating. The way the musicians draw different lines, the degree of intensity, the regulation of dynamics, how they emphasize or permit different voices get through whilst consciously taking into account the consequences upon the collective sound, and to top it all how they bestow the music with its individual breath: a sheer miracle. (…) Wandering Stars – It was clear from the outset that the Trio Wanderer’s recital at the Wigmore Hall was to be very special. That no other artist that month came close to capturing the essence of music as this young French group did speaks volumes for the quality of its performances.-They have a near-telepathie musical sensibility. What so impresses about this group is its command of the emotional panorama of the music. In short, an awe-inspiring evening. 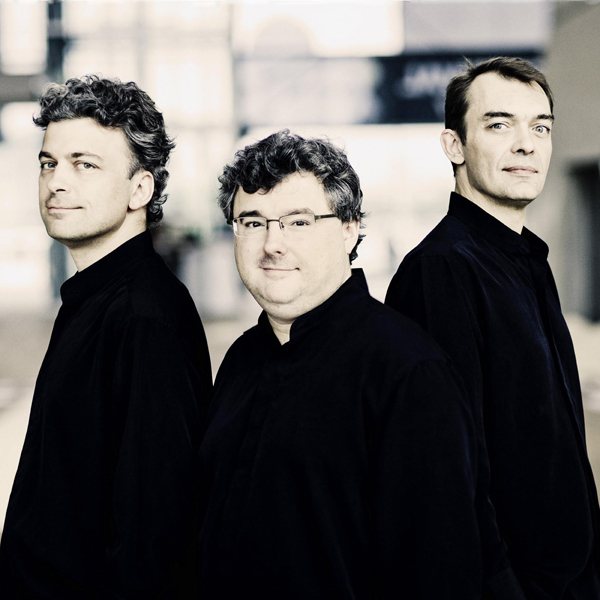 (…) The Wanderers take us on an exhilarating emotional rollercoaster ride, with a wonderful sense of conversational repartee in the fast outer movements and rapt expressions of wonderment in Schubert’s sublime, songful slow movements. All three players are outstanding musicians. (…) Such fusion of spirit and style is hard to find in a trio. All three artists contribute to the trio’s perfect homogeneity. Jean-Marc Phillips-Varjabédian’s violin is superb, Raphaël Pidoux’s cello sings freely and Vincent Coq’s piano is faultlessly well-rounded and almost symphonic. The Trio stand out at once for their fullness of sound, power and youthful energy. (…) It has been my lot to hear Haydn’s Piano trio No. 17 several times recently, but never with such supreme, sparkling generosity as at the well attended evening concert with the French Trio Wanderer (who are playing again this evening). The piano’s combination of soaring lightness and rhythmic intensity was matchless, the strings met in a slender but noble sonority where the cello elevated itself expressively beyond the purely supportive, and the balance was perfect. This jubilant experience was movingly rounded off by Schubert’s elegiac ‘Notturno’, moulded as in one piece with miraculously melting transitions. 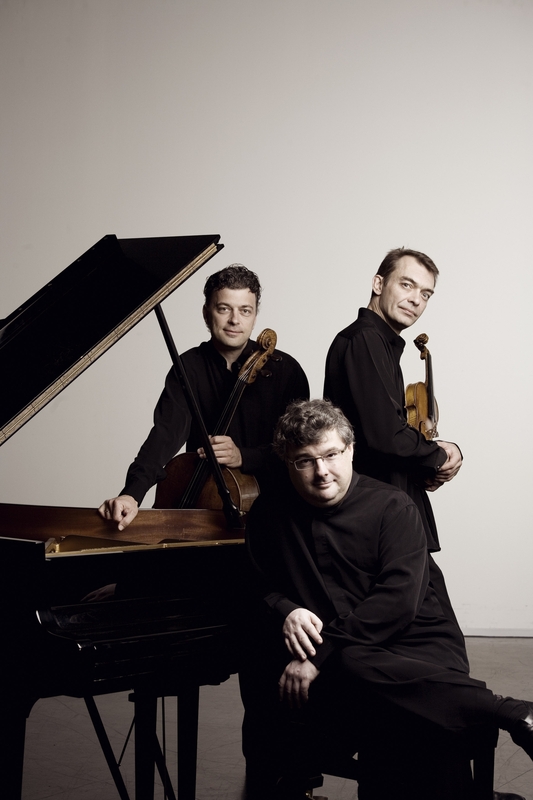 (…) The Trio’s qualities became obvious at once: a piano bursting with inspiring energy, a wonderfully intense and lyrical violin, and a cello with deep, full sounds. Their style can further be characterized by its typically French distinctness and airy lightness. (…) Jean-Marc Phillips-Varjabédian is a wonderful violinist, elegant, sober – a born virtuoso. Raphaël Pidoux is a superb cellist with deeply moving and truly lyrical accents. As for Vincent Coq, he at once exhibits total musicality and breathtaking technical skills: three partners whose hearts have been keeping the same beat for eleven years. (…) In Graz’ Stephanensaal, they exhibited their remarkable technique and exceptional sonorous richness through a series of interpretations which were both intense and spirited. They will be remembered for their perfect stylistic simplicity, ceaselessly renewed inspiration and finely gradated dynamics. A priceless evening!